Does well in any soil, but for greater results plant in fertile, well-drained soil. Thrives in full sun and warmer temperatures. 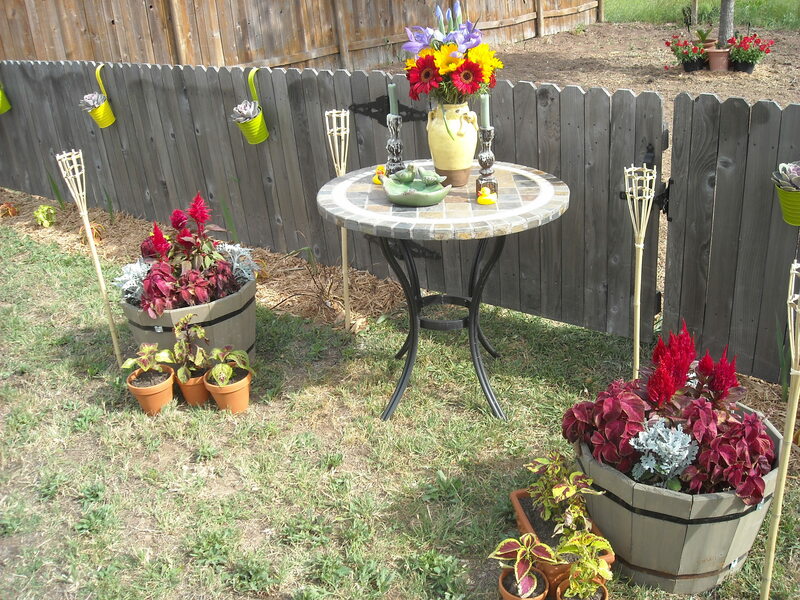 Established plants do not need regular watering, except in cases of drought. 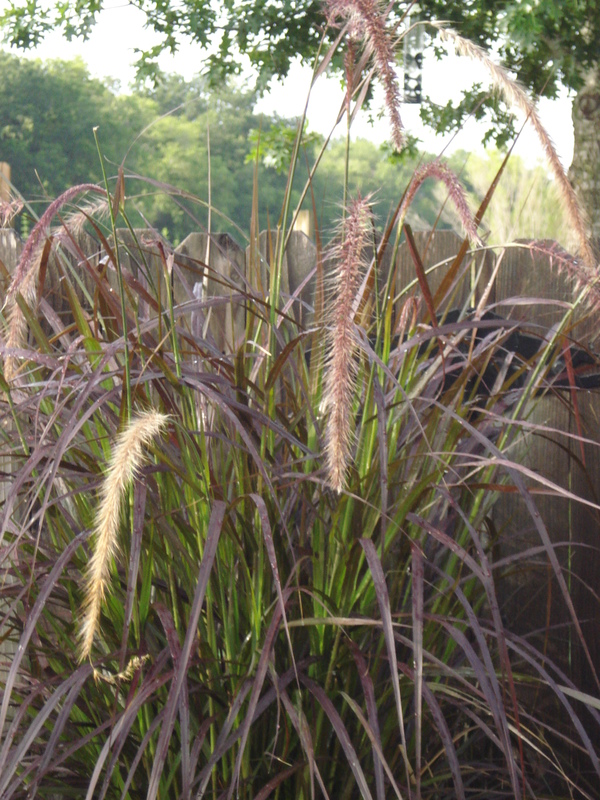 Trim back your fountain grass in late winter to early spring to keep the plant thriving in years to come. I love this grass. It is not a perennial in NJ. By the way, I am doing the Lovely blog post today. Wow! That’s much taller than any Purple Fountain Grass that I’ve had. Very pretty. I’m jealous of your beautiful garden ( we just have a patio). 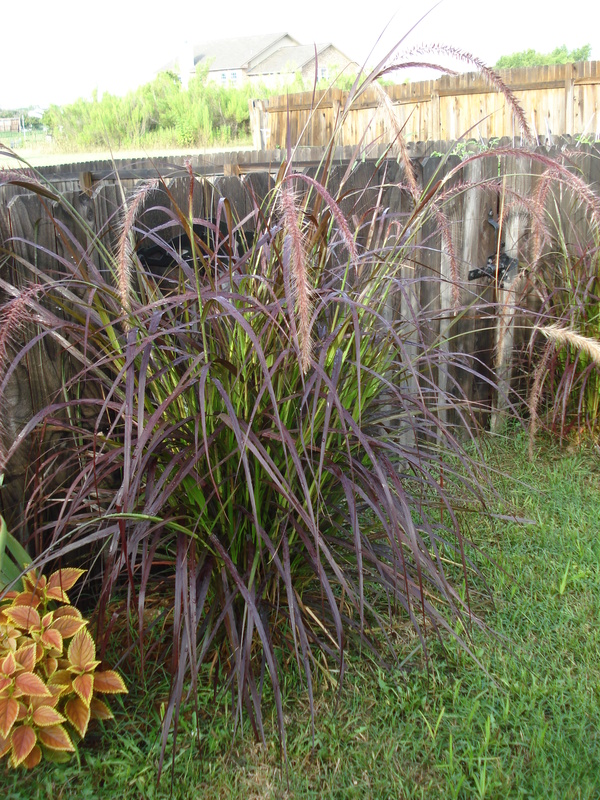 I’d never heard of purple fountain grass, it’s v pretty. Aw, thanks! I actually had never heard of it either… so glad we found it and planted it! Love the stuff!! I have one Big grouping to the right of my front door and love how it looks!! Yours is phenomenally huge in such a short time!!! Thanks! I think it is because we had some huge amounts of rain the beginning of July and when we got back from vacation they just were huge!! 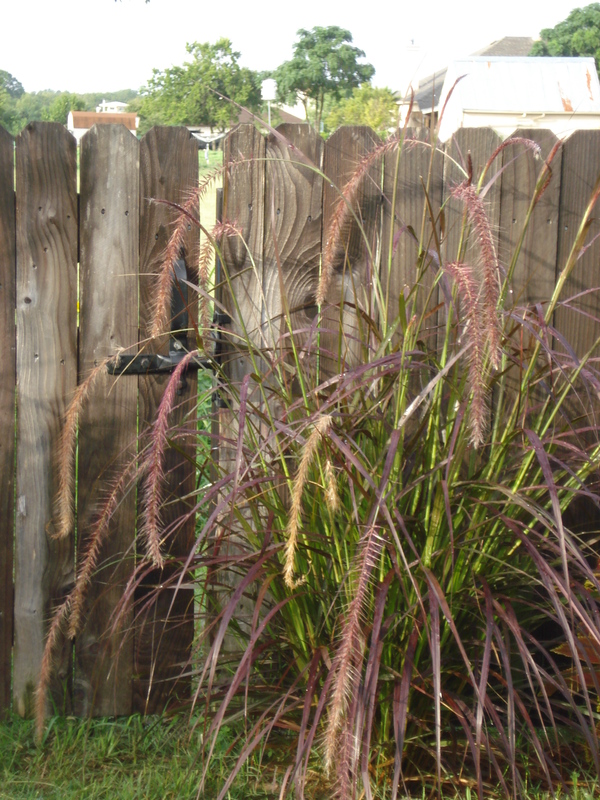 I love fountain grass in my garden as well, they are so pretty in the wind. 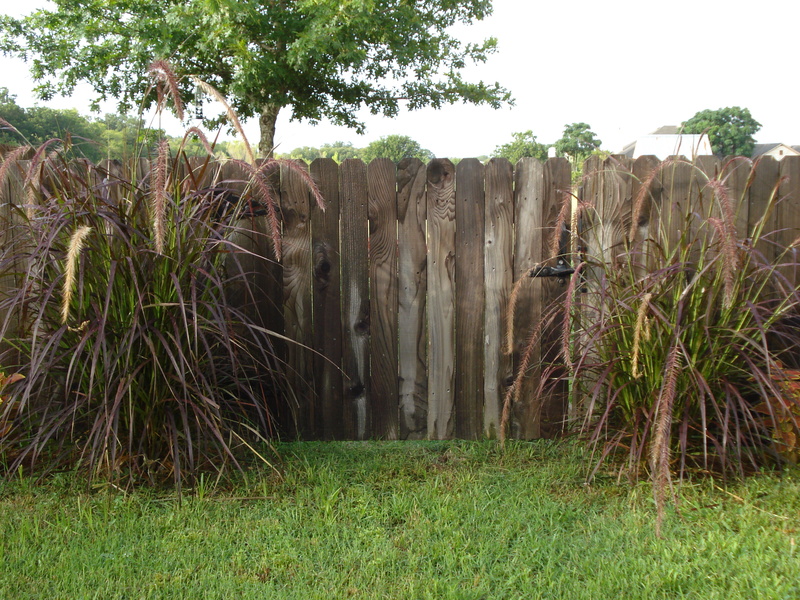 This entry was posted on July 22, 2012 by Jessica Romigh in Gardening, Green Door Adventures, Landscaping and tagged garden gate, gardening, growing tips, landscaping, nature, ornamental grasses, purple fountain grass.